Physiolates – Physio + Pilates is a physio based exercise program run from our Quinns, Hillarys, Butler, Kinross, Hocking and Jindalee locations. 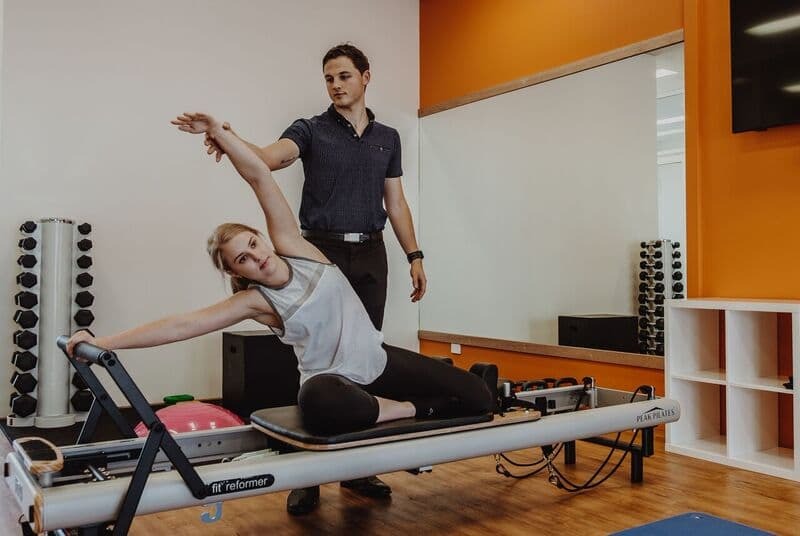 The benefit of having our Physio team utilise their Pilates skills as part of your exercise sessions means you will receive an individual and personalised program tailored to your specific needs. Please contact us at any of these convenient locations for any further information. We offer classes in a one hour “Friends and Fitness” sessions with up to 4 participants. This is for those patients who have experience in Pilates or are already active and have a good starting exercise level. The classes are also a great way to socialise and have fun! Classes are run at our Quinns, Butler, Hillarys, Kinross and Jindalee locations. For those patients who prefer one on one or need greater supervision we also offer individual “You’re the Focus” sessions run over a 30 minute appointment. A great initial starting point for those looking at rehabilitating injuries or just generally looking to become fit and healthy. This is available at our Quinns, Hillarys, Butler, Kinross, Hocking and Jindalee locations. Move Forward clinics offer personalised exercise programs incorporating Pilates devised and supervised by trained physiotherapists to target your individual needs. Pilates as an exercise form can be invaluable in retraining movement control, strength and flexibility, balance and coordination. Move Forward physiotherapists staff are trained in several forms of Pilates, including Polestar, Stott and Clinical Pilates. Generally clients will attend weekly sessions over a minimum 6 to 12 week period. 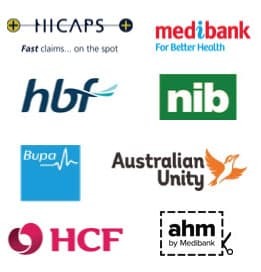 However, this may vary as each client will be advised how often and for how long they should attend to obtain the best outcome for their condition. Physiolates – Physio + Pilates exercises may include mat work (floor based), ball, foam roller, reformer or trapeze. Physiolates is available at Quinns Physiotherapy, Hillarys Physiotherapy, Hocking Physiotherapy, Butler Physiotherapy, Kinross Physiotherapy and Jindalee Physiotherapy. Call today to find out what Pilates services are available to you.